Unless, like us, you always have a bag of them ready to rock in your freezer (seriously, try Skittles straight from the freezer, they taste amazing), you probably don’t spare much thought for the rainbow colored candy snack unless you’re eating them. Well, we do. 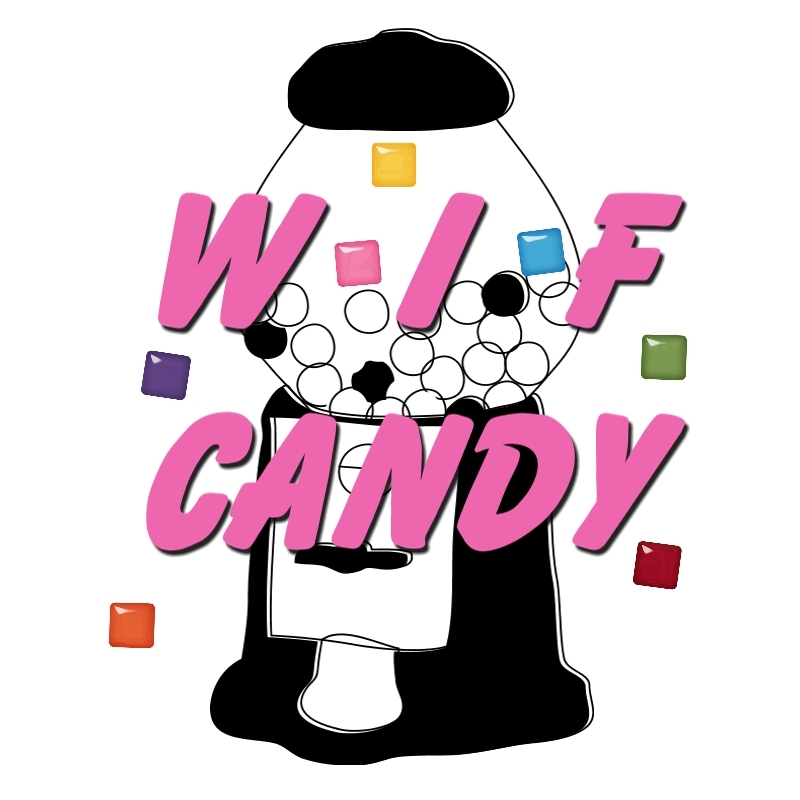 So we compiled this list of stories and facts about the candy. Partly because it’s interesting, but mostly because we really want them to sponsor us so we can live our dream of Scrooge McDuck-ing our way into a giant pile of these delicious treats. One of the most visually distinctive aspects of Skittles is that each bag contains more colors than a blender full of Marvel comics. 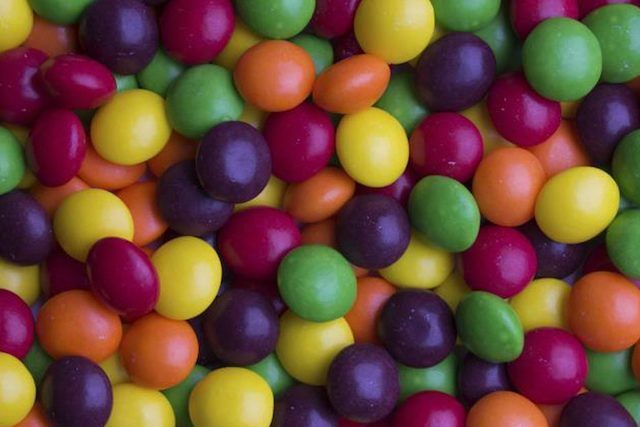 Mars (Skittles’ parent company) has played up to the smattering of color each bag of their product contains by coining the tagline “taste the rainbow” and it’s hard to imagine the company would ever abandon their distinctly fabulous design and color scheme. In fact, the company has only ever dropped the rainbow colored profile of their brand once, in 2016, in celebration of London Pride Week. Relient K is a Christian rock band that has enjoyed moderate mainstream success and has toured extensively since the late ’90s. The author of this piece is actually a big fan of the band and highly recommends their cover of Africa, his favorite song. Moving on, the band, along with loving them some Jesus, adores Skittles, going so far as to release a hidden song on one of their albums (a thing people owned before MP3s became a thing) talking about how great they are. 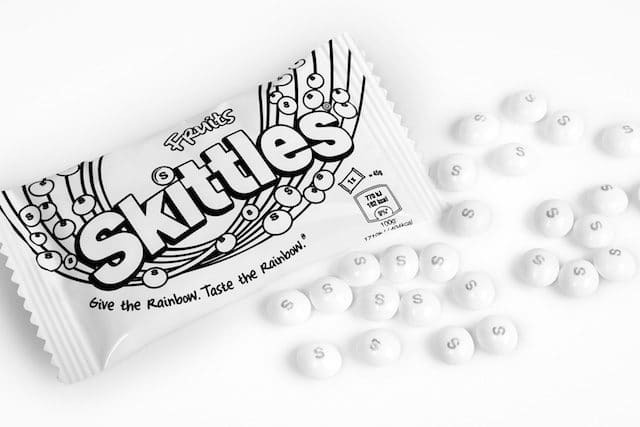 Prior to this the band would often eat entire bags of Skittles between songs while performing, and made sure to mention on their rider for each performance that they needed their green room to contain a near infinite amount of the candy. 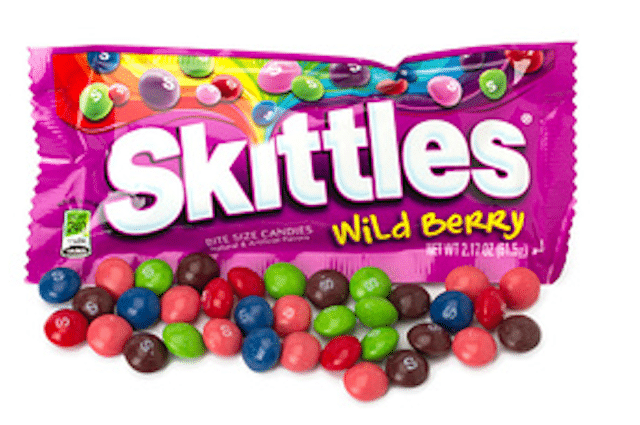 This love of Skittles saw it become a tradition of sorts for fans to pelt the band with bags of Skittles while playing. Amusingly, years later, the lead singer of the band admitted that he wasn’t a big a fan of the candy as his bandmates and was getting kind of annoyed with being beaned on the head 3 times per show by a large bag of flavorful delights. Information that just encouraged fans to throw even more, because of course it did. 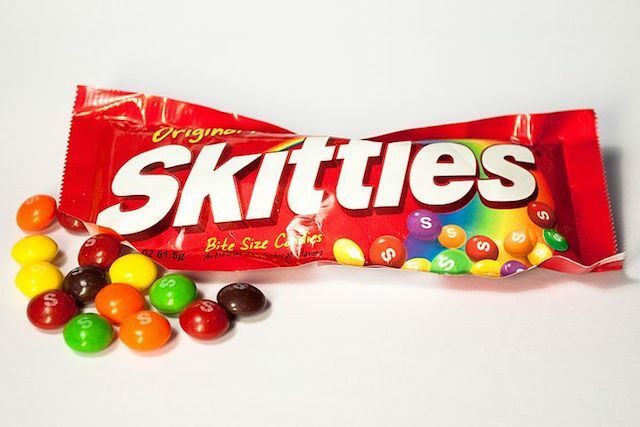 Skittles are a brand noted as being one of the earliest to recognize the marketing potential of social media, and have been consistently praised for their genuine understanding of the platform strengths and limitations and humor while interacting with fans. 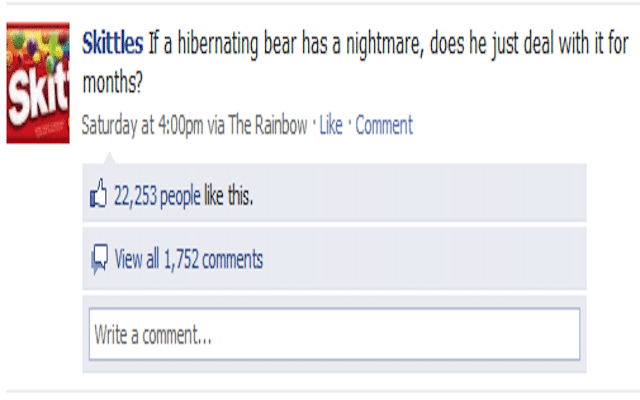 In particular, the Skittles Facebook page has often been singled out as one of the best corporate fan pages out there because it’s actually kind of entertaining. 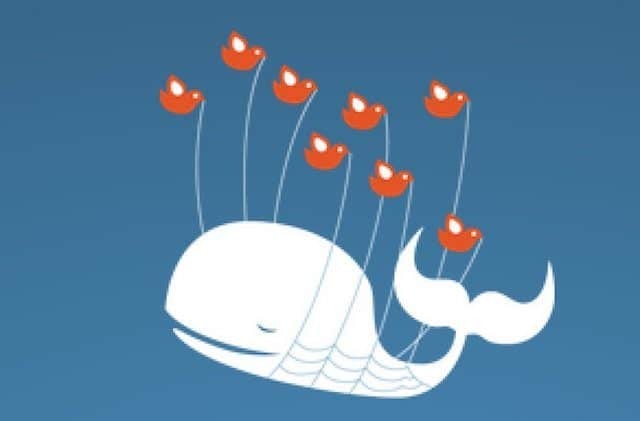 Early in 2009, when Twitter wasn’t yet the massive, globally recognized force it is today, Skittles tried to dip their toes into the world of tweeting by changing the front page of their official website to display the feeds from their various official social media platforms. In specific regard to the Twitter bit, the brand decided it would be a good idea to display any tweets people sent to the company. You can probably guess what happened next. 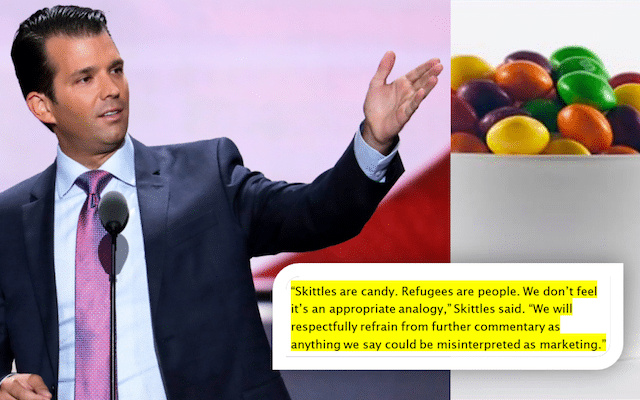 In 2016, Donald Trump Jr. tweeted an image comparing refugees fleeing ISIS with a bowl of poisoned Skittles. You probably heard about it. It was pretty big news and for a moment, everyone was looking kind of awkwardly at Skittles, wondering how in the hell they were supposed to respond to something like that. Think about it: not commenting on the statement would look like tacit endorsement of the sentiment of the comment, whereas addressing it could be misconstrued as trying to capitalize on the controversy. Skittles were, in most people’s eyes, kind of screwed no matter what they did. 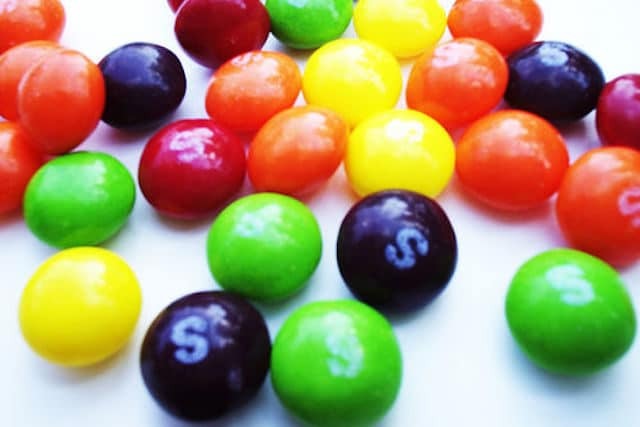 With all eyes turned to them and a public waiting for the brand to slip up, a few hours after the tweet going viral, Skittles issued a frank statement through an official from Mars to a newspaper simply saying that Skittles are candy and refugees are people and that they didn’t wish to comment further. This astonishingly classy way of handling what could have been a minefield of controversy for the brand has been cited by experts on PR as a sterling example of how a company should operate online. In other words, the same company that talks online about chinchillas losing their cool also somehow managed to smoothly shut down controversy about their brand being used to dehumanize people fleeing an active warzone. Say what you want about the controversy, this just shows that Skittles has some amazing people working for its PR department. Moving away from politics and Donald Trump, which we’re sure has already got some people arguing in the comments, let’s discuss the fact that Skittles are one of the only a handful of candies that could technically be part of a balanced diet. This is because unlike most every other kind of candy that have less health benefits than the wrapper they’re packaged in, a small bag of Skittles supposedly contains about 50% of the daily recommended amount of Vitamin C for an 8 year old (which is about 49% more than we assumed when we started researching this), and 25% for an adult. This means that unlike, well, any other candy, there’s a quantifiable benefit to eating Skittles rather than, say, M&M’S or Jolly Ranchers, which have no real nutritional value. While we’re not saying that you should shovel these things into your mouth by the handful, it’s quite nice to know that at the very least, you’re getting something from them to make you feel ever so slightly less guilty. One of the last things Mars does before they send off Skittles to be bought and consumed by the public is add the little S you can find on every candy. 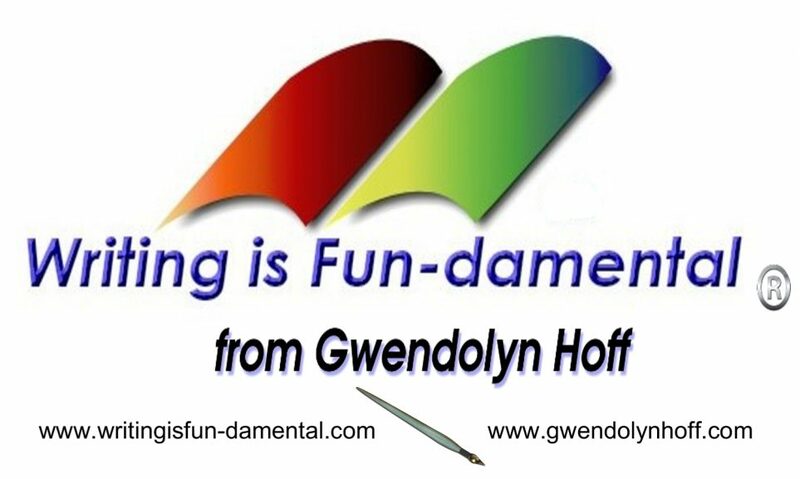 This little S is written using a non-water soluble ink that is attached using an apparently delicious kind of edible glue we’re annoyed you can’t buy in stores. Like any brand, Skittles are subjected to strict quality control measures that see them being checked against perfect examples of the candy we assume are kept in a comically well guarded vault. 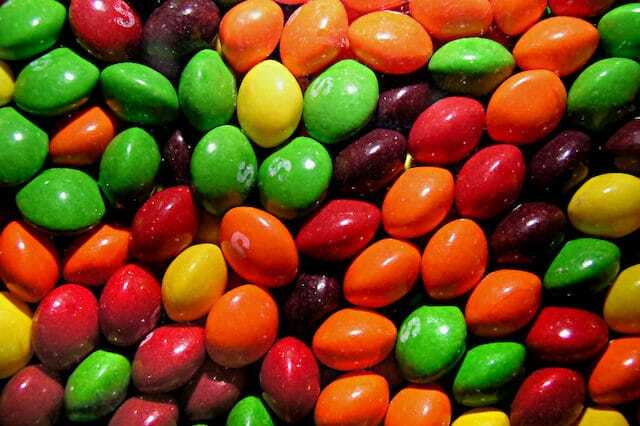 Since so many millions of Skittles are produced every single day, people in charge of quality control simply check one Skittle out of every so many thousand produced, and if it doesn’t look right, all of them will be destroyed. Millions of Skittles are made every day in roughly equal amounts, which are then sorted into the bags you can buy in stores. However, if you’ve ever actually opened up a bag and counted how many of each color are in there, you may notice that there are way more yellow ones. Nobody is really quite sure why this is the case and Skittles won’t answer our emails, but if you take a look at videos of the candy being made you’ll notice that for some reason, yellow Skittles seem to end up in the same vats as other colors. Exactly why this happens isn’t clear but a theory is that since yellow is the cheapest color to produce, it’s the one made in the highest quantities. The theory continues that the plentiful yellow Skittles are then accidentally sorted along with other colors, explaining why you always seem to find more of them. Again, we have no idea if this is true but it’s for sure a better explanation than Skittles just like messing with us. There’s a scene in E.T. the Extra-Terrestrial where the eponymous E.T. is lured out of a closet by a trail of Reese’s Pieces. This scene is noted as being one of the singular most successful cases of product placement ever, resulting in a sales increase of nearly 300% for Reese’s Pieces. As it turns out, Mars were originally offered that lucrative deal for M&M’S, but turned it down. Not wanting to pass up this kind of chance twice, Mars jumped at the chance to have Skittles appear in an almost identical movie called Mac and Me. If you’ve never seen it, Mac and Me is often referred to as one of the worst movies ever made, mostly because it’s an unapologetic cash grab full of shameless product placement for Skittles, Coke, and McDonald’s. As an example of how utterly flagrant this film is in promoting the brands, it features: a break-dancing scene set entirely inside a McDonald’s; Coke as the only thing the aliens in the film will drink; and a character who wears a McDonald’s uniform in every scene they appear in. Unsurprisingly, Skittles didn’t suddenly notice a 300% boost in sales after the movie was released because nobody went and saw this movie. In fact, we’ll bet more people have seen that clip where a kid in a wheelchair falls off a cliff. Particularly since Paul Rudd shows it literally every time he ever appears on Conan O’Brien’s show.